Machine Head have begun auditioning for a new guitarist and drummer. Both Phil Demmel and Dave McClain quit the band following the conclusion of the Freaks & Zeroes tour in November last year. 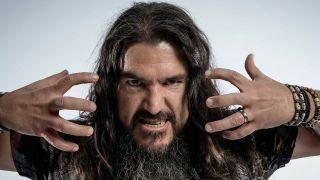 And with Machine Head leader Robb Flynn back in the studio working on “some new heaviness,” the search in on for a new duo to join him and bassist Jared MacEachern. Flynn revealed that auditions had been taking place at Sharkbite Studios in California during an Instagram live stream. The musicians in question have been put through their paces by playing tracks including Locust, From This Day, Halo, Aesthetics Of Hate and This Is The End. Since leaving Machine Head, Demmel has played with Slayer and resurrected Vio-lence, while McClain recently rejoined Sacred Reich.